Though it's the only one still standing the Anglical Church of St Giles was not the only church in Imber. 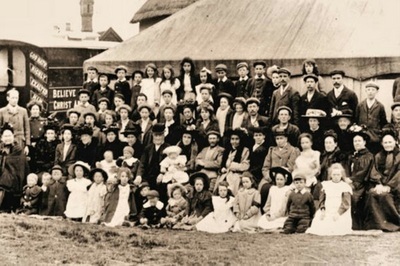 About a hundred and fifty years before Imber was evacuated there was a great 'non-conformist' movement away from the established Church of England. It is estimated that at its peak around three quarters of the village's population had become Baptists. Baptists believe that Jesus Christ, not the monarch, is the head of the church, and in believer's, not infant, baptism, by full immersion, representing coming into a new, chosen, life of Christian faith, which is not something that a child can simply be born into. Whilst the Baptist movement, as a denomination, grew from the 17th Century it simply believes in the Bible being the Word of God. Though initially there was much opposition to it from villagers in April 1784 the house of Thomas Gibbs was registered for worship by the Baptists, and four years later in 1788 that of Thomas Westfield. In the late 18th and early 19th centuries itinerant preachers walked or rode fair distances to preach in houses such as these. One such visitor to Imber was David Saunders of nearby West Lavington, the 'Shepherd of Salisbury Plain', he and others inspired large numbers of so called non-conformists. Imber became an outreach of the influential Baptist Church at Bratton. 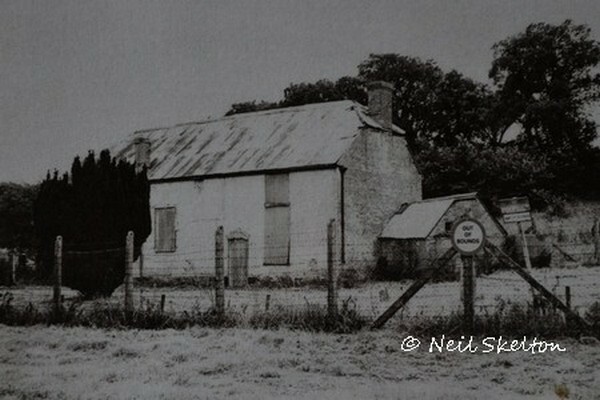 In the Bratton Baptist Church register are found many names of residents of Imber who between 1810 and 1837 applied for adult baptism and membership of Bratton church. With a grant of £45 from the Baptist Building Fund Imber villagers built their own Baptist chapel. The chapel was built, at a construction cost of £238, on part of Thomas Hayter's garden and was licensed on 31 October 1833. 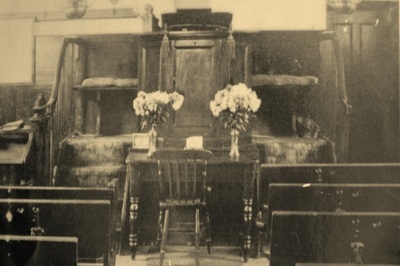 In the Bratton Baptist Church minute book of 07 August 1839, the names of Thomas Found, James Pearce, Isaac Carter and William Grant are recorded as requesting their dismissal for the purpose of making Imber Baptist Chapel independent of Bratton, and this was granted. By 1858 a school was attached to the chapel and three quarters of the village population were Baptists, the number of children at the school was between two and three times as many as were at the church school. In 1863 Imber Baptist Church reported a membership of fifty-two, and eighty-three children in the Sunday School. J Feltham and JS Farmer were then the joint ministers. The best known of the Imber ministers was Joseph Goddard, an agriculrural labourer and deacon whose services were much sought after by congregations over a wide area. In 1870 a grant was approved by the association of churches to which Imber belonged to enable Joseph to devote more of his time to 'Home Missionary' work in the district. In Mr Goddard's report in 1882 he says "At Imber our congregation has greatly increased. The Chapel is thronged to excess, and many have been brought to the Saviour. We baptized fifteen last Sunday, and more are under deep impression". The following year eleven more were added to the church and the membership grew to sixty-six, with 141 in the Sunday School. In 1891 a school mistress was appointed for the Imber Baptist Chapel's day School, but in 1895, with the provision of state funded education, the Imber Baptist Chapel's school closed and its 24 pupils were transferred to the National School, being that which was part of St Giles Church. The population of Imber had fallen and there were just 47 children of what was then school age in the village, which was at that time just 11 years of age. Census information about Imber reveals that the population of the village had reached its maximum in 1851, when 440 people were recorded. In 1931 the population was down to just 152. Joseph Goddard died in 1897, towards the end of Joseph's life he apparently used to say that he had walked 8,000 miles to preach the Gospel. As Imber entered the 20th Century Europe was becoming unsettled and in World War I, 1914-18, 27 men from Imber served, of whom three were killed. From 1907 to 1943 services were regularly taken by Frank Maidment, the minister from Chitterne, who cycled the five miles to Imber. Frank, as well as being a Baptist preacher, was a baker, sub-postmaster and shopkeeper in Chitterne. 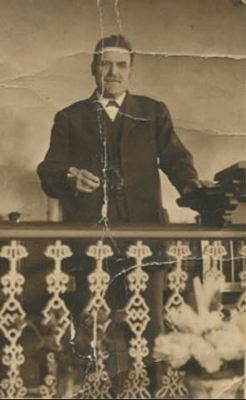 When he died in 1952, aged 92, he had spent 75 years preaching. He was apparently known for delivering quotes from the Bible with his loaves. 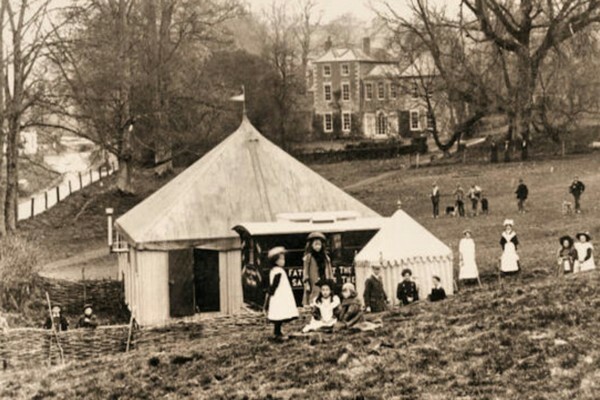 In 1928 the Chapel was renovated at a cost of £49 to the congregation, but one by one the farms were bought by the War Office, the population continued to decline, and in 1936 even the Sunday School had ceased. 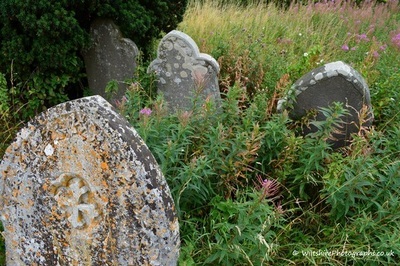 Imber Baptist Chapel finally closed with the evacuation in 1943 of the village, and has since been demolished, only gravestones remain, and even those are waist high in weeds.